At $99, the third-generation Apple TV continues to be as excellent a value as the previous model-and now it supports higher-quality video too. That’s a good thing. For those with the previous generation, however, the decision to upgrade comes down to whether the difference in quality between two high-definition formats is important (and noticeable) enough to you. This year’s Apple TV is a strange little device. Nearly everything it did before, it now does better – it streams 1080p content, is easier than ever to navigate, and remains one of the simplest devices to set up and use that we’ve seen. 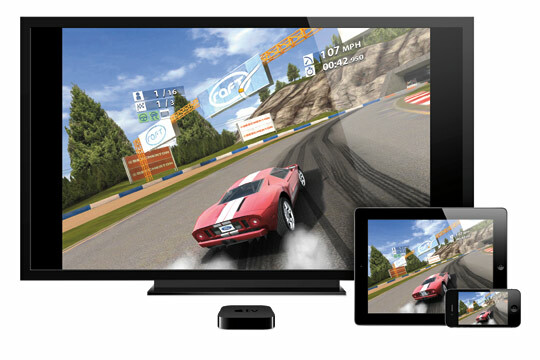 But when I reviewed the 2010 Apple TV, my biggest concerns were all about the content: the available content on a device like the Boxee Box or the Roku positively dwarfed the Apple TV. That’s still true, though the iTunes integration with Netflix is a solid sign that Apple’s thinking the right way. Having 1080p video on my 60-inch HDTV is magnificent. I’ve been watching movies and trailers all week and the experience of watching a movie in 1080p that you are streaming from Apple is incredible. On my network, the movie starts almost instantly, so I don’t have any lag time to download. I walk in, choose a video and watch it. The Apple TV is the epitome of convenience. With iCloud, I have access to all of my iTunes Match music and videos, so I don’t need to connect to a computer anymore. I can purchase movies, TV shows and I can watch content from Netflix. That’s perfect. Posted on March 15, 2012, in Gadgets_ TV and tagged $99 TV, 1080p, Apple, Apple New TV, Gadget, Macworld, The Loop, The Verge, TV. Bookmark the permalink. 1 Comment.